Kosran Tech Transfer License, Safety Access Control (SAC) system controls machines and operators. Nobody wants the current loss of life and serious injuries on UK and global sites to continue - Everyone wants a solution. The overall aim of our research and development programme has been to anticipate every industry requirement and to use innovative technology to deliver solutions for safer sites, safer workers, less fatalities, less serious injuries, less downtime, greater productivity and profitability. Industry committees have done great work and provided a continuous comprehensive and complete flow of safety advice and pamphlets. Kosran has taken every detail on board and incorporated them within our 21st-century technology system which implements our industry committee objectives. Sharing innovation: Our Sales Plan is to share our innovations with the wider global industry via technology transfer. 6. Kosran has no comparative competitor, you will be in the ‘front’. Kosran has the design engineering support structure in place to deliver and support this package. The system benefits from our 25 year experience and innovative success in construction, agri and access industries. This is our niche area of expertise, we have proven our concepts, we have no comparative innovative competitor. They provide services which include custom integration of the new Kosran technology to our Licensees machines, systems, traditional loom and CANBus protocols; and manage the transfer of the technology to your factory or introduce an alternative supplier. 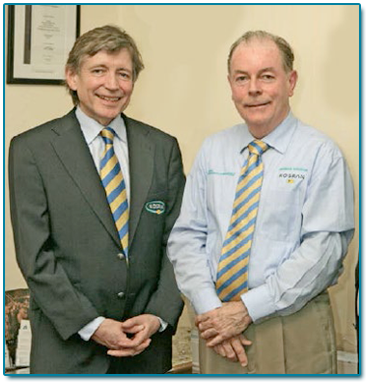 Patrick Sheeran MRICS is a Chartered Surveyor and graduate of Blackrock College and the Dublin Institute of Technology. He has a long history of entrepreneurship, innovation and patents; for taking a concept to design; and delivering ‘fit for purpose’ engineering products from factory to the construction equipment industry in the UK, France & the Middle East. His focus is on saving lives, limbs, brand reputation, protecting property, enhancing productivity and profitability and corporate social responsibility. Delegates at this year’s Construction Plant-Hire Association (CPA) Conference heard a variety of high-profile speakers present information about the pipeline of projects for the industry, how to fill the skills gap, and the impact of technology on the construction sector. New technology changing the way construction equipment operators, fleet owners and site managers work was also a key theme of the CPA conference. Martin Frank, research engineer for specialist intelligent machines at manufacturer Volvo, told delegates. “Intelligent components designed for machine control and optimisation help to control aspects such as speed, load, slope and position, and allow operators and equipment to perform tasks as efficiently as possible. Site connection technology enables the fleet, the material being handled, site capacity and production to be managed in real-time,” he told the conference. He said technology could help fleet owners generate process understanding, collecting data to support the analysis of machine usage and site operation, helping to detect bottlenecks and wastage. “In the future, operators and machines will be one unit,” Mr Frank said. 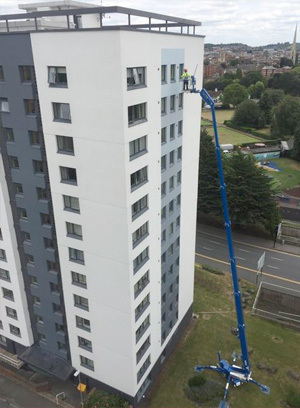 And Glyn Matthews, head of strategy and engagement at UK rental company Speedy Hire, pointed out that people increasingly expect the same connectivity and functionality on-site that they are used to at home. 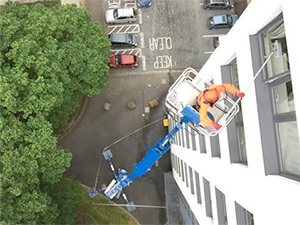 40% of all construction deaths and life changing injuries (wheelchair-for-life) happen when working at height. Last year, this year and next year 1,000 construction workers will be Killed-at-Work and 40,000 will suffer life-changing injuries in the EU & USA. We have the 21st Century technology to change all of this.